Fashion photography developed in the 1950s in a rather complex way. 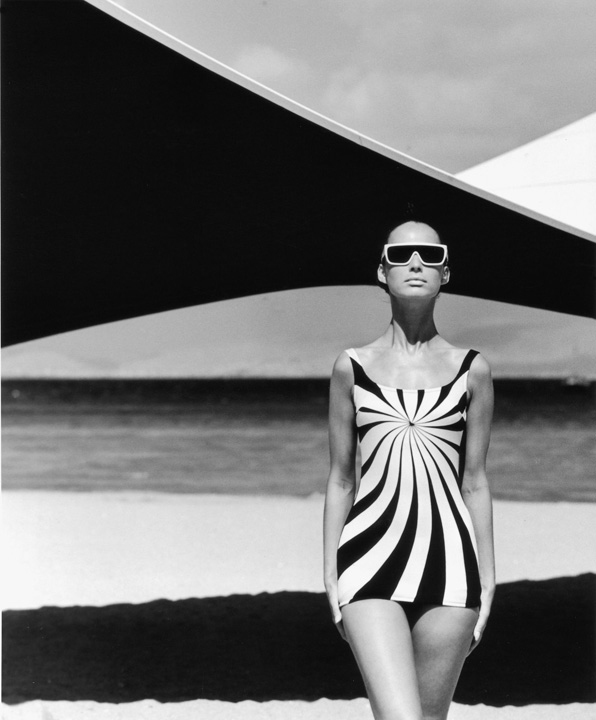 FC Gundlach decisively coined the genre in Germany for about 30 years and became well-known as its star photographer. His elegant and restrained style offers a view to past worlds and still impresses. With FC Gundlach, fashion photography left the conservative 1950s atmosphere and became dynamic and cool. He established the fascinating and decisive picture language of Op Art with surprising directions of views and compositions full of suspense. The background, the fashion and the models interacted with each other. In FC Gundlachs photographs the style of the period came to an expression: severe and inapproachable in the Op Art period and dreamily and playful during the flower power period. Over and over again he showed young women as dynamic and urban actors. His images changed fashion into self expression and an attitude of life.